The XPRS-PCI-X3 connects with one of our XRPS-HOST-.. cards, and allows using of up to 3 PCI type cards outside of a computer system. Installing and use of XPRS-PCI-X3 - click for details and images. Or, you can order separately host cards on their product pages. 2. Powering needs and Enclosures. The PCI interface requires either 3.3V, or 5V, or both voltages to be supplied for the PCI card. PCI cards may optionally use also +12V and -12V for powering. To find whether you need a Power Supply, please read - PCI card - finding the voltages used. If a peripheral card only uses 3.3V / 5V you can use one of our PWR-5V products to have 3.3V / 5V power supplied to XPRS-PCI-X1 for the PCI card. If a PCI peripheral card needs +12V and -12V with current consumption of up to 50mA, you can add to PWR-5V the power module . If a PCI peripheral card needs +12V and -12V with high current consumption, or if unsure on the power requirements of a particular PCI card, you can use the ISA-PWR-XR external power supply. The XPRS-PCI-X3 together with the PCI type cards may be mounted in an enclosure. Small PCI type cards may be put in ISA-X3-B1 enclosure. 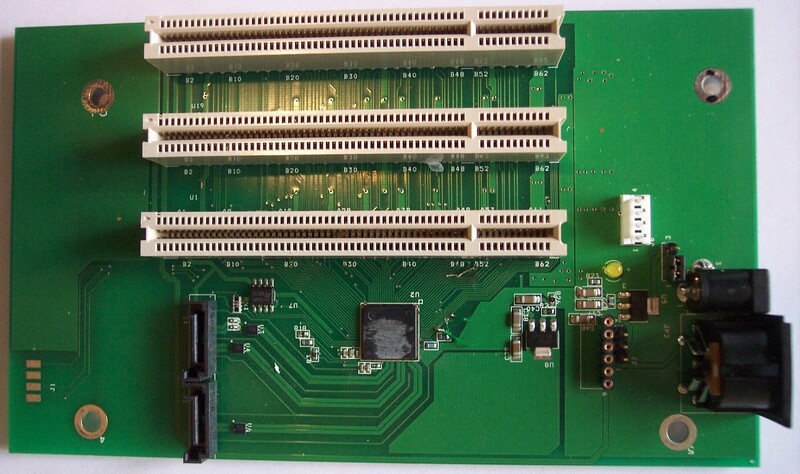 Longer and larger PCI type cards may be put in our ISA-X3-B2 enclosure. Enclosure for multiple ISA / PCI cards. Choose the ISA-X3-B1 or ISA-X3-B2 for larger size ISA / PCI cards.